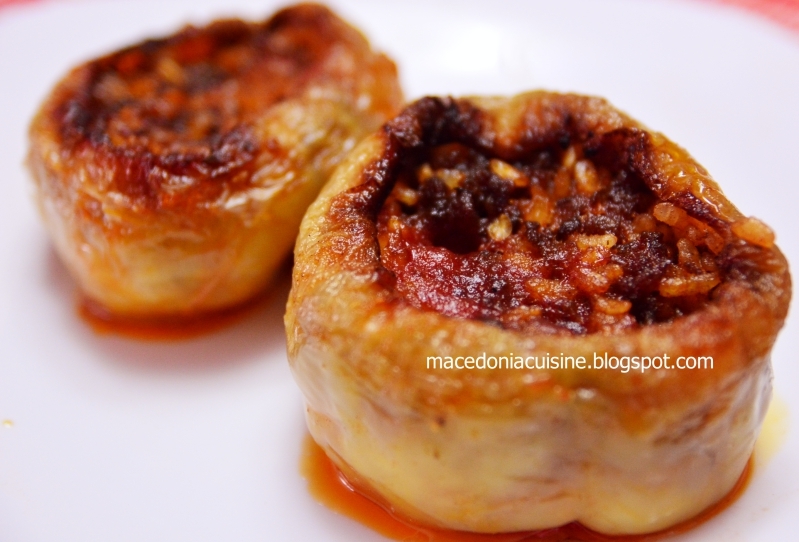 Polneti baburi or stuffed bell peppers, are also very popular dish in Macedonia. I had them for lunch today and I'm still under impression, they were so so good. 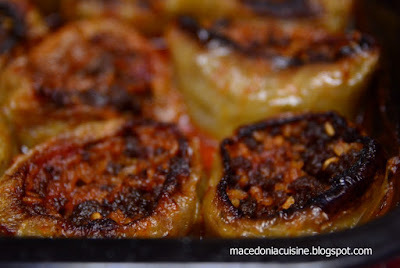 Peppers are stuffed with ground meat with rice and spices then baked in the oven. 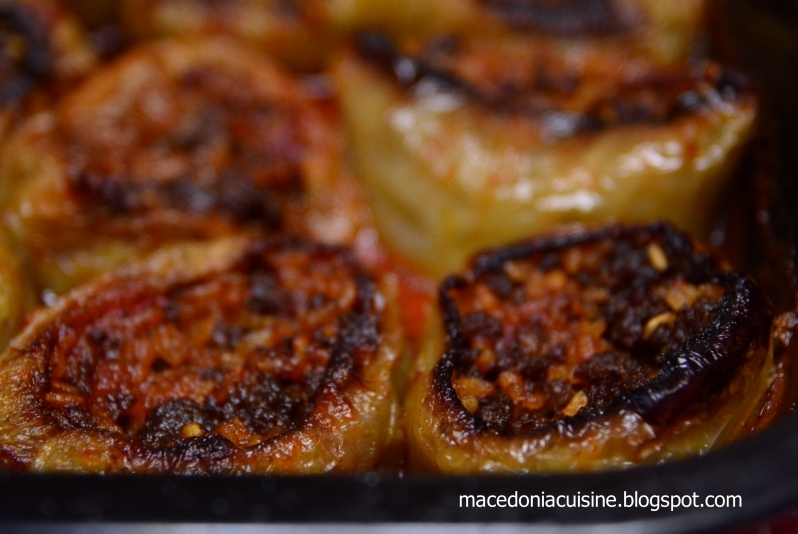 Preparing is the same as in regular stuffed peppers, you only align them upright in the pan. First, fry chopped onion, add meat, salt and spices and fry for ten minutes. Add rice and paprika in the end. Fill previously cleaned peppers with the prepared mixture. Use teaspoon for filling. 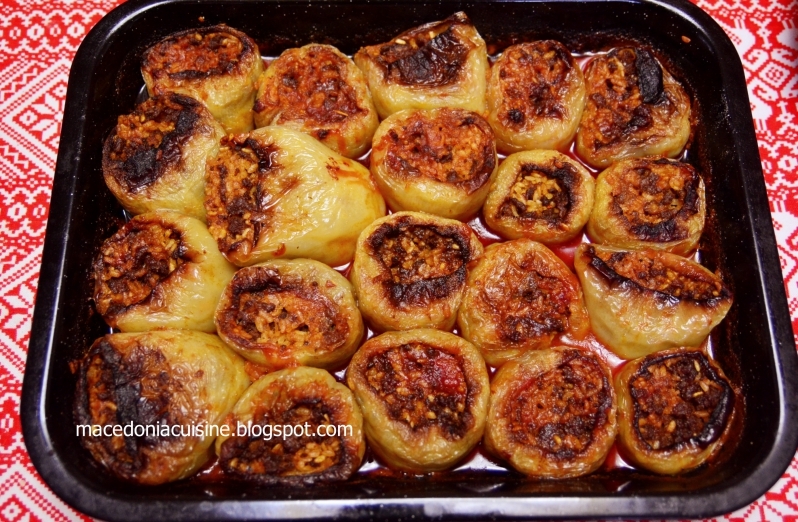 You can close peppers with pieces of tomato or potato. Align peppers upright in a pan, add water so the peppers are more than half covered with water, add some oil on top. 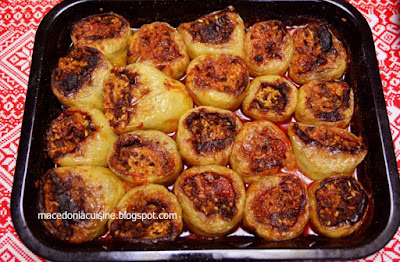 Add tomato sauce or ketchup and some flour between and on peppers for better taste and put them in preheated oven to bake at 250 C. Leave to bake until roasted well.